I’ve been waiting for this expedition for 19 years to compensate the miss of VK0IR. However I planned to go to the contest station to generate more chance I was busy so I tried the die hard version. On the same day of FT4JA success I was able to go through on 40m CW, and YES the “dipole-on-the-ground” DOES WORK. 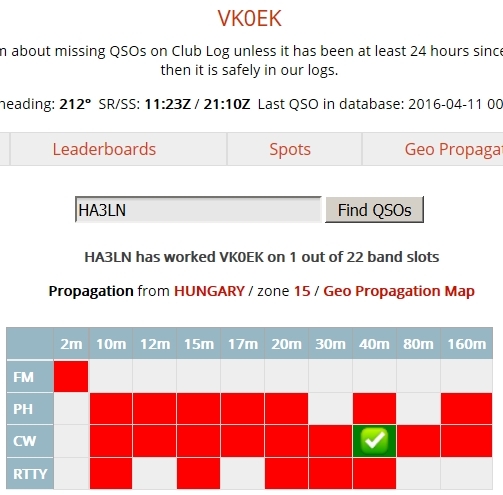 ;-) Unfortunately 40m was the only band where I could copy the signals well enough to try to call them. 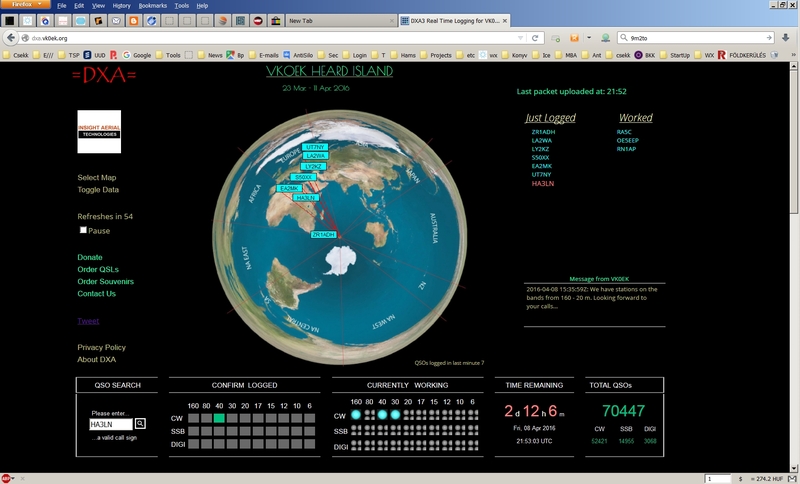 I know there are several other more difficult DXCCs to log but Heard Island somehow is the DXing for me. I’ll be ~55 years old at the next activation so I need to wait long for sure.